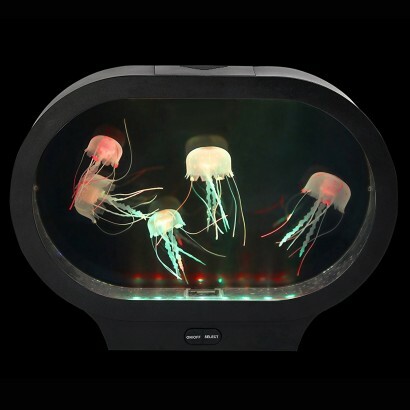 A beautifully hypnotic mood lamp, the jellyfish inside this elliptical tank flow gently, weaving around one another in a soothing display. 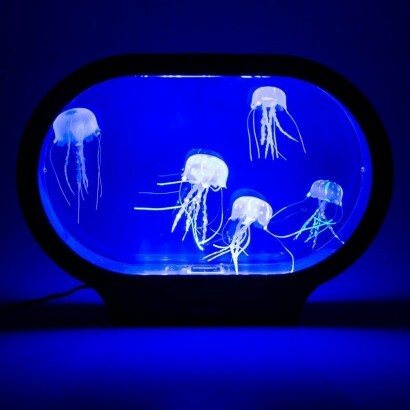 Lit by 24 colour change LEDs, the light shines into the tank illuminating the neon jellyfish allowing them to fluoresce for elegant, mesmerising displays. 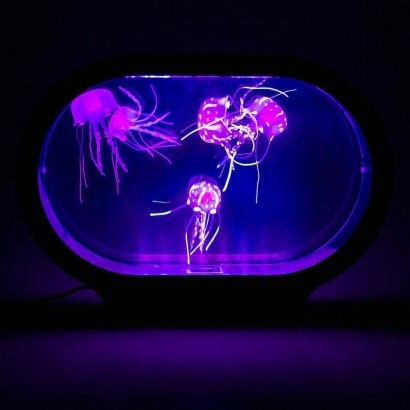 Choose from colour change light or choose to hold on your favourite colour to create a soothing, relaxing environment for bedrooms, living space and sensory rooms and the whisper-quiet operation allows you to enjoy the jellyfish gliding gently without noisy fans. 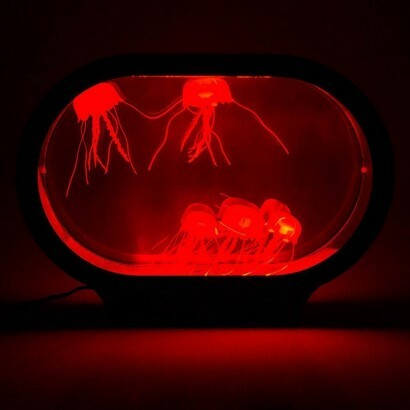 When we first received this we filled it with tap water and put the jellyfish into the tank. They didn’t do anything...then we read the instructions! 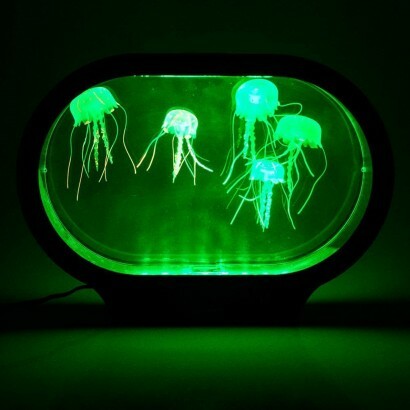 You do need deionized water, a squirt of washing up liquid, tap the jellyfish to get rid of bubbles, and then the magic happens! 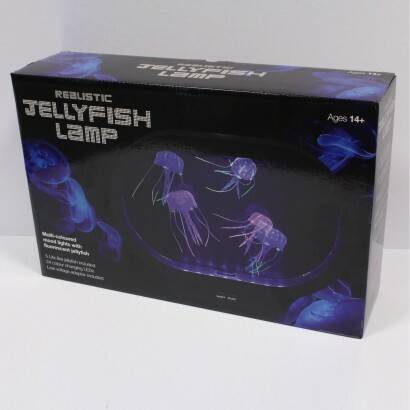 The jellyfish swim elegantly and are relaxing and mesmerising, they are fantastic! With auto shut off and a choice of colour or colour changing, worth the money!